It is a drone, and its pilot is a farmer named Jean Hediger, one of a growing number of American agrarians who have taken to using unmanned aircraft — better known for their use in war-torn lands far from the wheat fields of eastern Colorado — to gather information about the health of their crops. In doing so, these farmers are breaking the law. It is illegal to fly drones for commercial purposes without permission from federal authorities, and those who do so risk penalties in the thousands of dollars. But the technology holds such promise that many farmers are using it anyway, dotting the country’s rural skies with whirring devices saddled with tiny video cameras. “This has really become a big deal in ag,” said Ms. Hediger, who is in her early 60s. 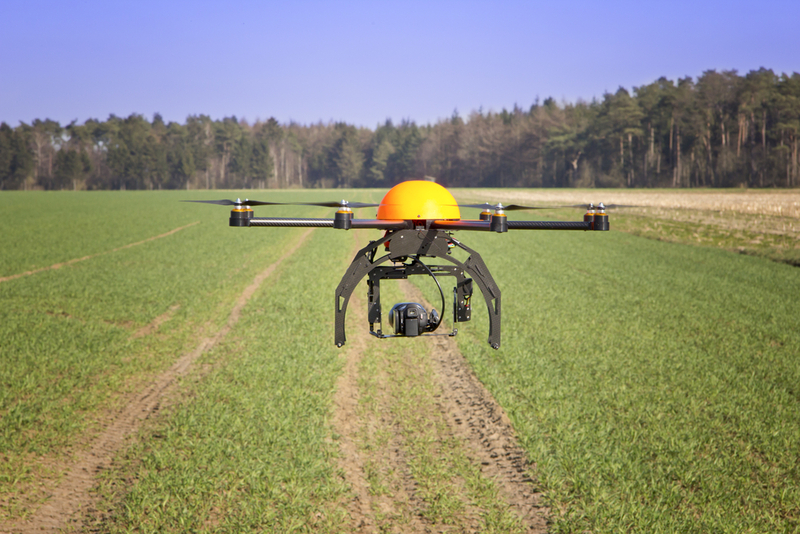 Soon, however, farmers may be able to fly their drones openly. In February, the Federal Aviation Administrationproposed new rules that would allow people to fly small unmanned aircraft for commercial reasons. Drone operators would have to be certified and to keep their devices in sight at all times during flight. If the regulations are approved, after what could be a lengthy period of public comment and evaluation, there will be implications across the country: Drones could be used by construction workers, firefighters, filmmakers and others. But few are as excited about this technology as farmers. The Association for Unmanned Vehicle Systems International, an industry group, said that it expected agriculture to make up 80 percent of the market for unmanned aircraft after commercial flight is allowed. “It’s invaluable,” said Corey Jacobs, a corn farmer who lives in rural Indiana. Mr. Jacobs, 28, used to spot weeds or weather damage by walking miles through his cornstalks in 100-degree heat. Now, he simply launches a drone. He built his first unmanned aircraft in 2013 and quickly saw a business opportunity. Today, he is the founder and sole employee of Extreme UAS, which sells drones to fellow farmers. When he is not on a tractor, he is on Twitter, scouting for new clients. Ms. Hediger, in Colorado, is one of his customers. She runs a 3,400-acre farm with her husband and her son, Bryce, 26. On a recent spring day, she stood in a wheat field as Bryce sent their newly bought quadcopter hurtling toward the horizon, a camera swinging from its belly. He gripped a white control panel as he peered at a monitor that showed him a bird’s-eye view of the land. He scoured the monitor for weeds, which in past years have devastated their crop, forcing them to halt cultivation on more than half of their land. “Having an aerial view is fabulous,” said Ms. Hediger, who estimated that the device would save her tens of thousands of dollars in the coming years because she would be able to pinpoint which parts of her fields needed fertilizer, water, weed killer or seed. Though it could take two years for regulations to change, technology companies are moving quickly in anticipation of wider uses for drones, positioning themselves for an explosion in demand — and catering to rogue fliers in the meantime. Agribotix, in Boulder, Colo., was founded in 2013 and has 15 employees. It sells drones like the Enduro, a six-pound quadcopter that comes with a camera, specialty software and a tablet or laptop that is used to direct the aircraft. The price is $7,000. The company has sold about 100 devices to farmers and crop consultants — people who travel from farm to farm, deploying drones for growers. The largest portion of the company’s business, however, involves reading a drone’s data and turning it into something useful for the grower. Once farmers have collected still images with an aircraft, they send the digital files to Agribotix, which stitches them together to create a map that delineates a field’s health by color. Red indicates patches of low growth where crops have been battered by hail or other forces, while green indicates portions of optimal health. Using this information, growers make dozens of choices about where to lay costly products like seed, fertilizer and water. All of this, said Tom McKinnon, the founder of Agribotix, is part of an increasingly popular farming method known as “precision agriculture,” a strategy that uses data and high-tech farm equipment to spot-treat a field according to need, rather treating it all the same. Agribotix clients feed their maps directly into their tractors’ computer systems, and the machines follow the maps’ instructions — spitting a bit of fertilizer over here, a lot over there — until the job is done. But concerns about crowded skies and the possibility of collisions continue to haunt the drone industry. Andrew D. Moore is the executive director of the National Agricultural Aviation Association, which represents pilots who fly over farms, laying seed and other products. He is worried about pilots crashing into drones, which can look like specks until it is too late. “It could be lethal,” he said. In the past, pilots have died after hitting poorly marked objects, including towers. Mr. Moore’s group does not oppose drone use by farmers, but it believes that the proposed F.A.A. rules are too lax. The rules would require drone operators to pass a knowledge test, but Mr. Moore wants them to have to obtain a pilot’s license and mark their machines with bright colors. Currently, the F.A.A. permits farmers and others to apply for exemptions to the rule prohibiting commercial drone flight. About 300 exemptions have been granted to people in many industries. Ms. Hediger and Mr. Jacobs, the farmers, both said they planned to apply — once their busy growing seasons were over. But the line for a permit is lengthy. In early May, there were nearly 1,000 people on the wait list. Penalties for drone-flying farmers range from a stiff email urging compliance all the way to a fine of $27,500. No growers, however, have been fined to date, according to Les Dorr, an F.A.A. spokesman. Er, not sure they are following how the FAA works hard enough. India is rolling out satellite based imaging for the entire country. That might be a better pointer to the future.